I have to be honest here and say although I have always liked white jeans paired up with some boat shoes in the summer for an easy nautical look I have never actually committed to buying a pair before, perhaps because white jeans plus small children and lots of travel and outdoor adventures don't perhaps go hand in hand. But now more than ever I think it's important for woman especially busy mothers to have some "me" time and thought why not purchase a pair for lunch dates in the city with John or even running errands minus the kids (we have too many sticky hand situations to chance it otherwise), so when I saw these from French Connection I thought why not. 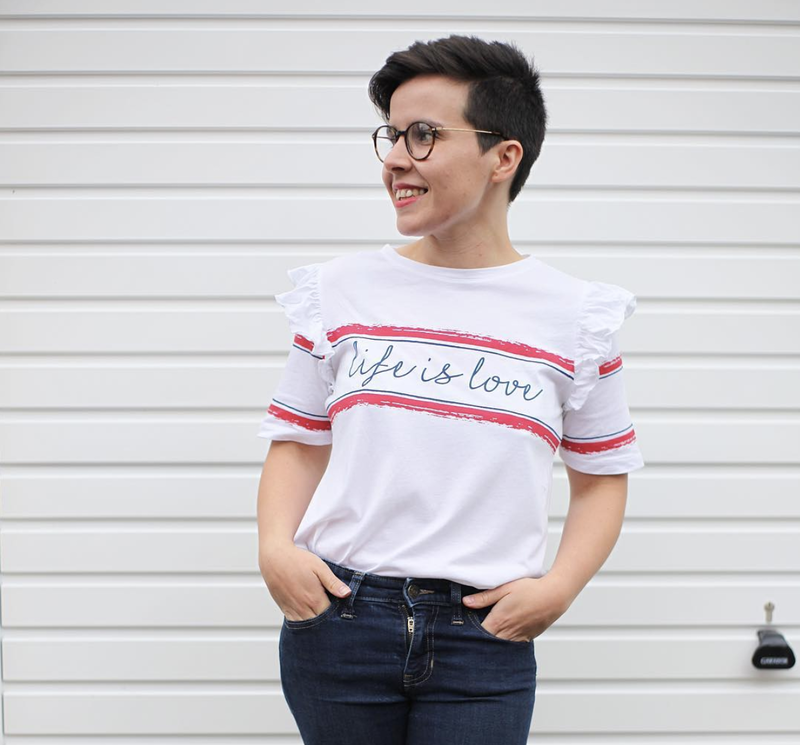 I often tend to gravitate towards black but as the days get shorter I really want to bring a lighter feel to my daily outfits with some soft pastel colours, whites and light greys. 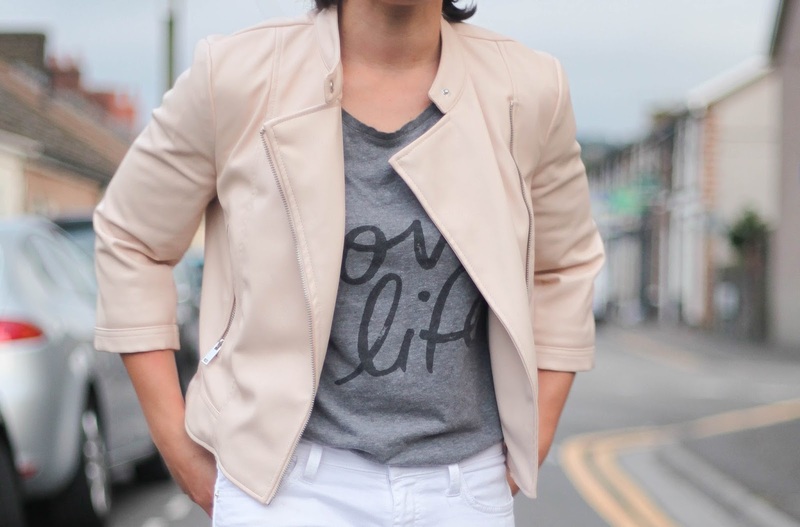 I have paired up the jeans with a Love Life top from F&F and a light dusty pink biker jacket from Zara and I think the combo works pretty well while still being nice casual and relaxed. 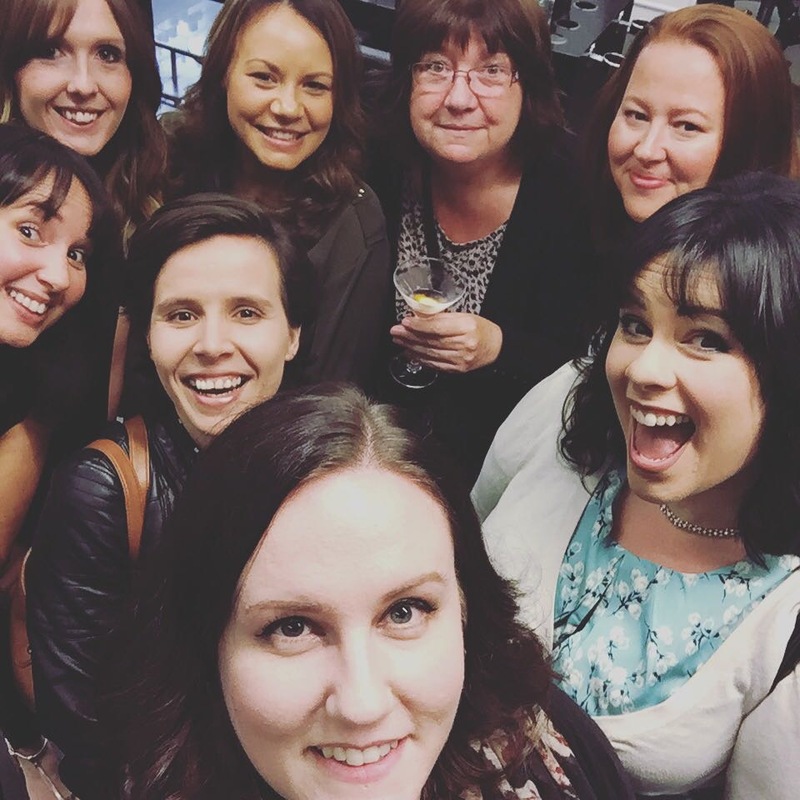 This week also involved a spot of pampering with some local bloggers Kerry, Alana, Sally, Sarah, Georgina, Alina, Jess and Ceri at Ken Picton Hair Salon in Cardiff Bay for their "Big Hair Do" evening. The Salon is one of the largest and most well known in Cardiff and offered everything from a Brazilian Blow dry to aromatherapy, facials, manicures and luxury bespoke treatments. The night was full of laughs, cocktails and mini pampering sessions and I loved getting my nails done in a pastel blue shade which is a colour I would never opt for normally but really love. Most of the bloggers had their hair style and blow dried although as you may have noticed I have very short hair and actually getting my pixie cut trimmed next week at a local salon but I am going to book myself into Ken Picton in about 2 months time when it grows out again as I was so impressed with the friendly and experienced staff which really make you feel relaxed and pampered and I may treat myself to getting my eyebrows shaped at the same time. I like this bright outfit you're wearing. 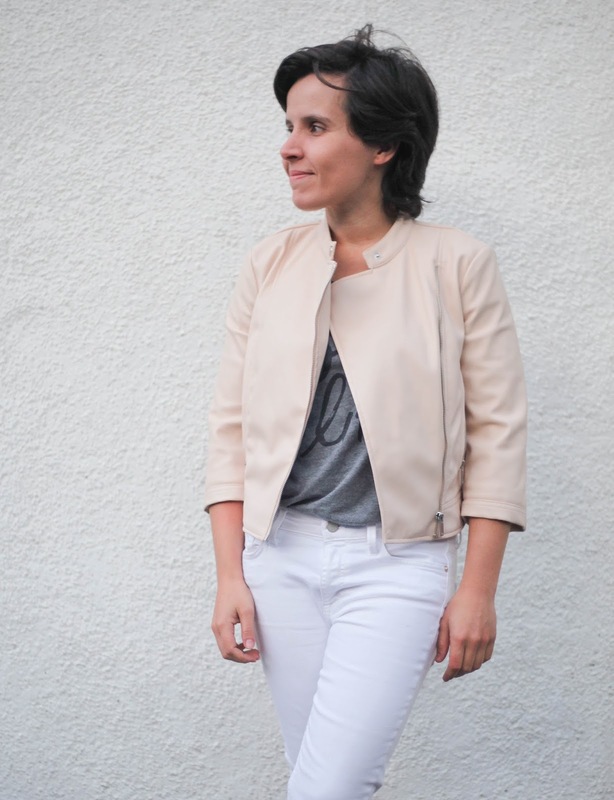 The soft pastel jacket looks so nice over the white jeans. Great outfit I love it! The colours go so great together and that jacket is just gorgeous!!! That jacket is great on you honey! I'm a little jealous of you all going to the Ken Picton salon, I would love to get my hair cut there.